First of all, I won't call this an "after" reveal per se, because as you can clearly see, our little ugly duckling of a master bathroom still has some transformation ahead of her. In a perfect world, I'd go full HGTV on this room, sledgehammering out the yellowing cultured marble slabs and the 80s motel-chic mirrored cabinet and Hollywood strip light all in one righteous blow. But because we live in the real world (HGTV producers, call me! ), other rooms in the house have taken precedence in our renovation so far, leaving our bedroom and bathroom mostly untouched--until now! Eventually we'd like to come up with a whole new concept for the room that turns our sad, windowless master bath into a tiny, flawless oasis, but until that day, our solution is a mini makeover that involves paint. Lots and lots of paint. To understand where we started when we bought this house two and a half years ago, though, let me state that this bathroom started out painted a high-gloss, vibrant orchid purple, so in a sense we've already conquered one visual demon. But the tile is cheap ceramic, and the vanity is a particleboard and laminate builder-basic cube, slightly warped from water damage and topped with cultured marble. It needed a lot of help, even if (for now), that beauty is only skin-deep. Cultured marble is technically "marble" in the same sense that nacho cheese is a finely aged Camembert. They might technically both be made of a similar substance, and even have a similar consistency at times, but the similarities pretty much end there. Cultured marble (a composite made of crushed marble dust) is super 70s, it is awful, and in our case it was tinged with yellowy undertones that made everything else around it look awful as well. Bringing in any kind of bold color next to the vanity only accentuated the sickly yellow hue, so we decided to go monochromatic in soothing shades of grey and near-black. In case you were wondering, YES, the shower is cultured marble as well. Oh happy day. All of this is leading up to the fact that, nearly three years into the purchase of our home, I discovered a few blogs claiming that it was possible to successfully paint ceramic tile floors, and I was like.....YOU HAVE MY ATTENTION, INTERNET. While I'm at it, why not paint the chipped, dirty white laminate cabinet a sleek, dark charcoal? Worst case scenario, we're only out the cost of a few basic materials. And so....the great $100 bathroom makeover began! Materials: Bleach, Krud Kutter, Zinsser Primer, mini roller with fine nap, nylon edging brush, Rustoleum Chalked Linen White, Rustoleum Chalked Charcoal, 1/4" painter's tape, polycrylic matte. 1. Clean your floor. I mean, really clean clean it. I vacuumed, then scrubbed with a mild bleach solution, then finished by wiping it all down again with a degreaser such as Krud Kutter. Let dry completely. 2. Using your mini roller and a nylon edging brush, apply two thin, even coats of primer, letting each coat dry thoroughly in between. Since I was fitting this DIY project in between regular mom and work duties, I often had to leave it alone for hours at a time anyway. If you're in a bit more of a time crunch, you could probably shorten the drying time (refer to the back of the can for manufacturer's recommendations on minimum drying time). 3. Decide on a color for your grout lines. I mixed Linen White and Charcoal to create a light grey that would delineate not only the grout lines between our tile, but the decorative starbust pattern on them as well. Apply this in two thin, even coats, let each coat dry completely. 4. Using 1/4" painter's tape (or else use the size that corresponds to your existing grout lines), tape off grout areas and decorative pattern. If you're going for a different style, here is where you'd use a stencil on the main area of each tile. 5. Mix a secondary color for your tile (in my case, a darker blend of Charcoal + Linen White), apply in two thin, even coats and let dry completely. I admit it. I was skeptical of meal delivery services for a long time. But I’m a cook, I thought, I know how to make dinner! I don’t need someone else telling me what to do. Which is hilarious when I stop and think more about that statement, because of course there are days when I’m exhausted by five p.m. and cranky and completely tapped out in the creativity department…and I could really use the assistance. It was on a day just like this that Sun Basket came knocking on my door (okay, actually one of their representatives sent me a friendly email) and asked if I’d give their service a try for a week and take a few notes. But...I’m...a...cook! I thought again. I’d always assumed meal plans would be silly convenience foods, full of wilted vegetables and heavy on cheap starches. I assumed they’d be light on interesting vegetables and globally-inspired seasoning, catering to a salt & pepper, meat & potatoes crowd (oh, what a snob I was about all this, seriously). From the start, they won me over with their ingredients. Sun Basket sends out organic, non-GMO produce from farms and suppliers all over the West Coast, including sustainably sourced, hormone-free meats and seafood. My week of meals arrived bursting with still-colorful, fresh produce. All recipes are created by chef Justine Kelly, former head chef of (no big deal, just a James Beard Award-winning restaurant) The Slanted Door in San Francisco. Want paleo, vegetarian, or allergy-aware (certain meals are marked gluten-, soy- and dairy-free) options? No problem. Each week’s menu includes eight options (you pick three) that take many healthy eating styles into account. Plus….BREAKFASTS. You guys, the breakfasts look delicious. Something I don’t plan to miss out on next time. 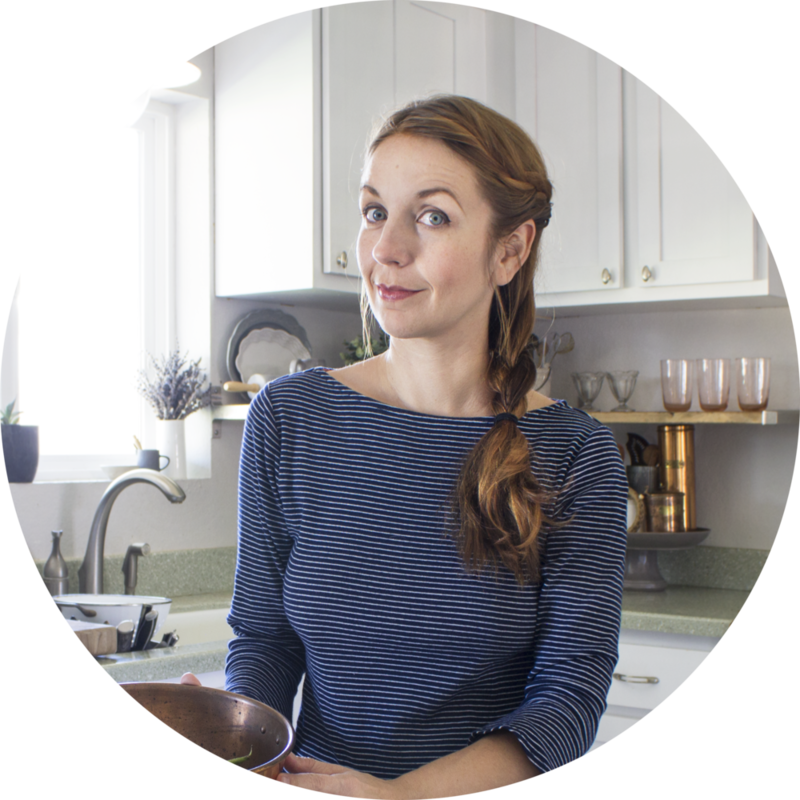 Here’s how the process goes, for the uninitiated (and I may be biased now, but you really should get into this whole meals-on-your-doorstep thing, it’s a life changer. Want to try it for free like I did? See the end of my post for a handy link! ): You click onto Sun Basket’s website and peruse next week’s options (boxes are shipped out every Wednesday). Pick three, or double up on anything that sounds tasty, and place your order. Wait patiently. If you’re me, wait impatiently. On Wednesday, open your newly delivered box and marvel at the feat of packaging that made it all possible (veggies on top, protein below, encased in heavy-duty ice packs that arrived still frozen solid). Each meal includes a recipe card and enough pre-measured ingredients to make two generous portions. Each recipe is well-tested, so when they specify a certain temperature or amount of cooking time in minutes, BELIEVE THAT. Your results are basically guaranteed. Verdict #1: We don't incorporate a whole lot of red meat into the menu over here, so when a good piece of steak comes into the house, I like to make sure it's just that. These were AMAZING! Tender, never mushy, and full of flavor. A note, if you're unaccustomed to buying your red meat vacuum-sealed, don't be scared when it arrives looking dark purplish. As soon as it comes into contact with oxygen and heat once again, it will spring back to beautiful, pink-tinged life, just like mine did. The arugula pesto was a welcome addition on top, and the piperade (a Basque-inspired dish combining peppers and garlic with a dash of mirin) is something I'm planning to make again and again. One argument with this one? Let's just call it 'Seared Sirloins' rather than 'grilled.' Although the stunning photo that accompanies this recipe shows beautiful grill marks striping the tops the steak, the instructions call for pan-searing. And let's face it, they'd be just as pretty out of a pan, right? Right. Verdict #2: Generous portions. GENEROUS. Maybe we're just light eaters, but this was two meals each for myself and Tim. Additionally, although I'd planned to take photos of each meal exactly as it was prepared (amounts and everything) there were extra vegetables left in the pan that didn't make the food styling cut for the photo--too much green foliage crowding the plate! Not that that's a problem in real life, mind you, where I'm always happy to have extra kale and sweet potatoes. Just in food photography. A few quick notes: Crispy-skinned chicken and I are best friends. Likewise, kale and I go way back. But artichoke romesco sauce, rich from ground almonds and smoky from a hit of paprika? You and I are about to begin a lifelong relationship. The verdict on our final meal....I knew I'd love the salmon. I love salmon like a stream-wading grizzly bear loves....well, salmon. But what I didn't expect was how much I'd love the accompanying salad, based on cooling crunchy cubes of jicama and fresh herbs. Something about the combination of firm, crisp jicama cubes against soft, sweetly melting bits of sliced orange just works magic. The dressing is minimal, not much more than a squeeze of fresh lime and a light drizzle of oil, which keeps everything tasting bright and lively. The bed of cauliflower 'couscous' that everything rests on is an inspired choice, too, since it tastes indulgent but isn't (also, crispy, pre-fried shallot slices? Yes to these on everything!). My only complaint? Again, it feels petty, but.....this isn't roasted salmon. It's a pan-seared filet of salmon, which is a perfectly respectable thing in itself. Like the sirloin, I get that I could easily have deviated from the menu as written and grilled or roasted my protein any way I like....but I really wanted to experience the recipe exactly as it was written, from the point of view of someone who's a little less confident in the kitchen. On the plus side, the cooking instructions (which obviously call for pan-searing) were on point, leaving me with perfectly cooked filets. A happy, well-fed grizzly bear indeed. As a culinary creative, do I feel a little guilty about trying a service that essentially takes all the guesswork out of the cooking process? Nope. Not even a little bit. Just like trying a fantastic new cookbook, the ingredient pairings and processes actually inspired new ideas—Oh! I’ve never thought of making an artichoke-based romesco before, or, Next time, I wonder if I should try adding a cup of stock and letting these red peppers simmer into a sauce instead of doing a quick sauté. Besides, even if I were to order a Sun Basket every week, there would still be four evenings where I’d be left to flex my creative muscles in the kitchen. Sometimes the best way to light the fires of the imagination is by trying a new recipe, and it’s even better when someone else does the cooking for you. Knowing that my fridge was bursting with fresh, top quality ingredients made it hard to pass over these meal options in favor of laziness (i.e. takeout)…every evening at dinner time, I couldn’t wait to cook with them! At an estimated $11.49 per meal (per person), it’s not far off what I’m paying for organic produce and sustainably raised meat at my local supermarket, anyway. Plus, I'm totally saving those adorable recipe cards and building a library of new recipes to cook from (Sun Basket is always coming up with new ones, anyway). One of my favorite things about them is that they share past recipes, nutritional info and their gorgeous photography (seriously, guys, who is your food stylist? Top notch) right on the site. Want to re-create the meals I made during my trial run? I've linked to Sun Basket's recipe for each one shown above, so you can try it at home. I enjoyed my Sun Basket experience so much—well-packaged delivery, friendly email responses, and of course, delicious meals—that I actually signed up for their affiliate program so I could help spread the word. Here’s the best part, though: you don’t even have to take my word for it. Want to test drive Sun Basket on your own? Follow this affiliate link and get three meals free from Sun Basket! Boom. Deliciousness on your doorstep.